For those who land at Gibraltar Airport, Espacar car hire offers a practical way of organising their time and route without having to worry about timetables and public transport restrictions. Collecting the hire car is very easy: the Espacar car park in Gibraltar is located very close to the airport and the border between Spanish and British territory, it’s just a short walk to FOCONA car park, in La Línea de la Concepción (Cadiz). Upon arrival, our staff will be waiting for you in order to deliver the hire car you have booked. In order to reach the Espacar Car Park in La Línea you will need to go through border control and customs, to do so you simply need to show your ID card and/or, if you are not European (EU citizen), your passport. One of the greatest incentives for visiting Gibraltar by car is the chance to go shopping in the many shops, which offer cheaper prices as they are VAT-free. From souvenirs, tobacco, clothing and perfume, there is a wide variety to choose from. You will see that it is possible to pay in Euros or Sterling and that the people of Gibraltar speak both English and Spanish. The Espacar fleet of vehicles is formed by the latest models of the best brands, such as Renault and Nissan, to ensure you fully enjoy your stay. Our rates include zero excess insurance and a deposit is not required, nor will we block any amount on your credit card. By booking with Espacar you will also enjoy 24 hour roadside assistance, 365 days a year, free additional drivers, free baby seats, management of fines and no additional cost and unlimited mileage. Contract your car rental in Gibraltar and La Línea with Espacar and don´t worry about additional costs. 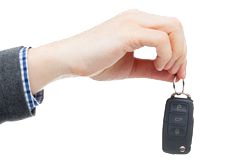 In order to collect your car, you will simply need to present your National ID or valid passport, your driving license (held for at least two years) and a valid credit card. You need to pay with a Visa, Mastercard or American Express card.